One of the most famous of the Italian cheeses, Gorgonzola is a very soft, blue-green, veined cheese that originated in the town of the same name. Gorgonzola is made with cow's milk, and the small holes in the rind allow air to penetrate, thus facilitating the mold to grow. 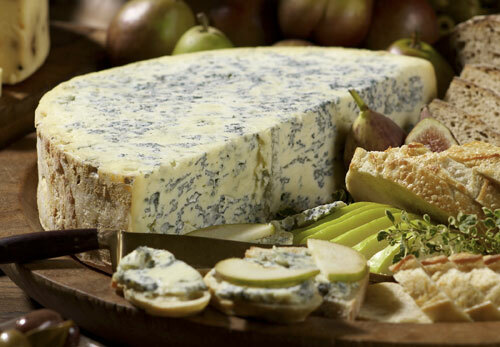 "BelGioioso" Gorgonzola has a soft, creamy texture with a full, earthy flavour, much like the imported product. It is ideal for melting into different sauces to top pastas, beef, chicken, and vegetables; and it makes a delicious spread by itself or when mixed with Mascarpone. When combined with mustard and olive oil, the result is a tasty salad dressing.